農曆新年 Year of the Dragon -2012! As I was taking my look at the front page of The New York Times, I browsed through a set of photos. Ones of nation leaders wearing the traditional costume of Asian nations. 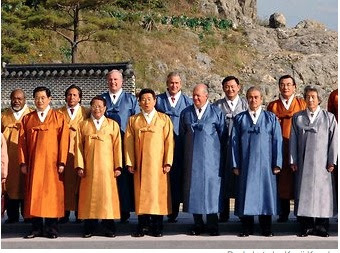 And then I stumbled upon seeing Bush wearing a hanbok in 2005.